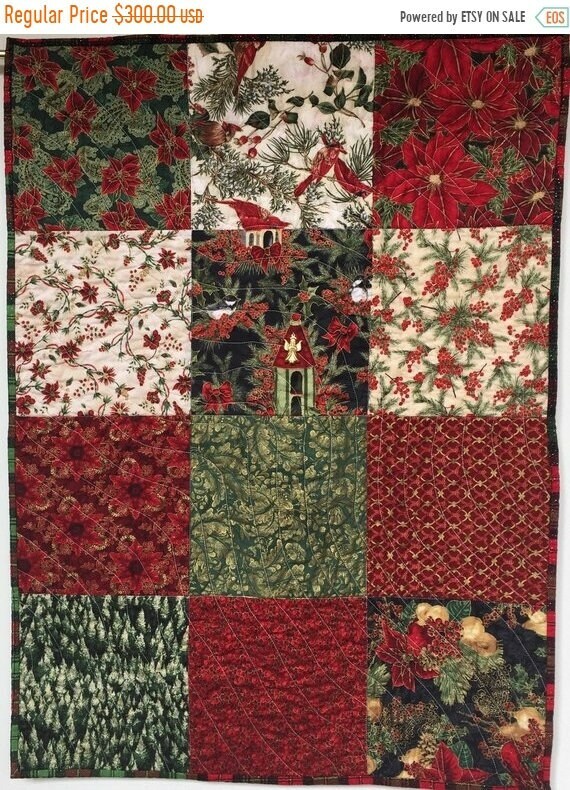 The church in the middle block inspired the name for the quilt. In the African American community, going to church on New Year's Eve to "watch" the new year in is a long time tradition. 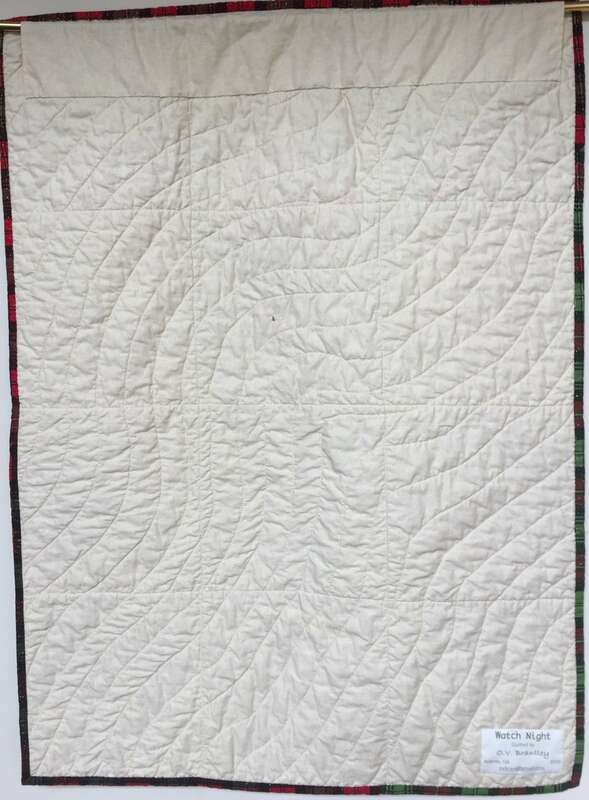 The Hoffman fabrics in this quilt are beautiful. No need to mess it up with blocks. 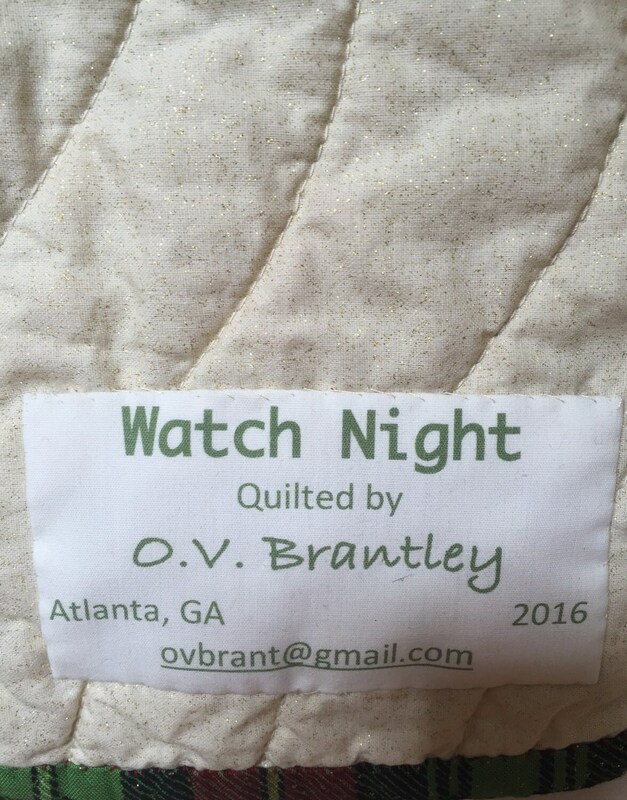 "Watch Night is machine pieced and machine quilted. 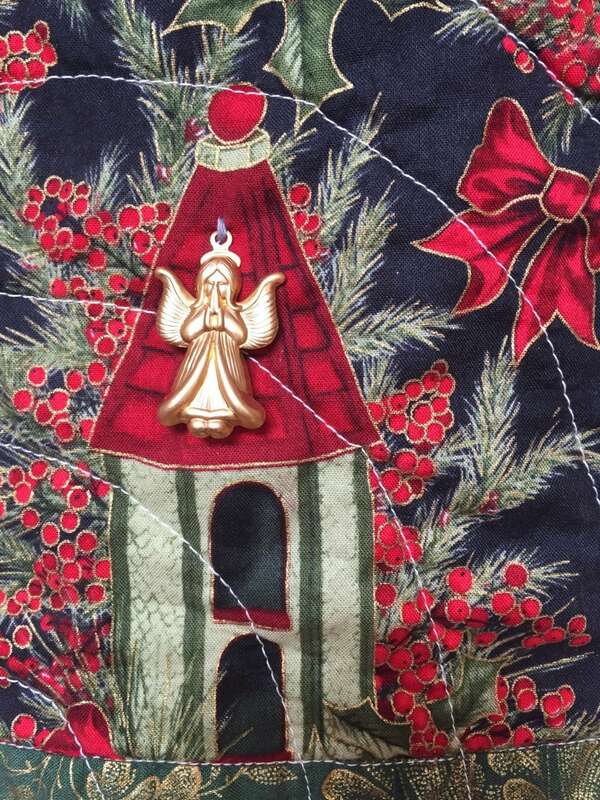 It is embellished with an angel on the church and measures 26x36 inches. The fabric on the back is cream with gold sparkles. 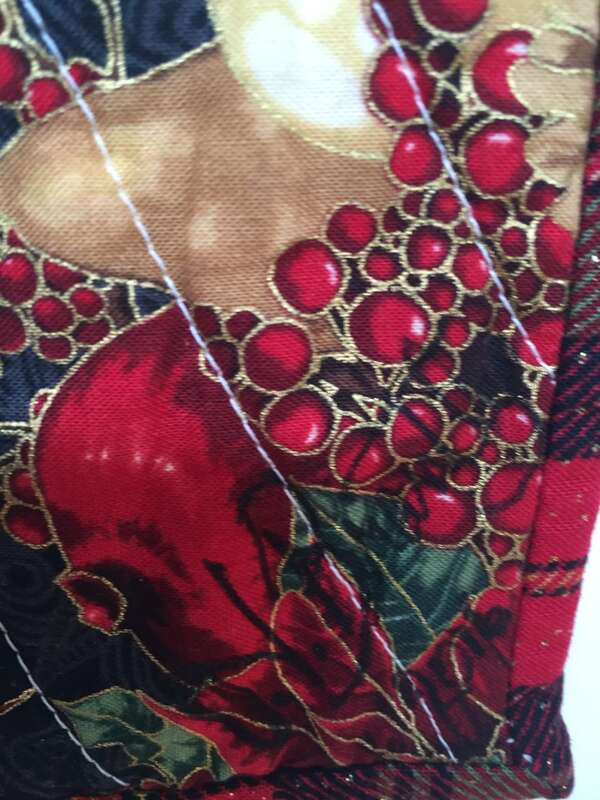 There is a hanging sleeve on the back and a label that documents the quilt. I signed it on the front, but it is hard to see because of the print.